How awesome are you? Super awesome! 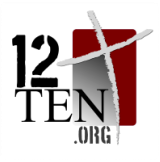 Thank you tons and tons for your interest in becoming a volunteer with 12Ten.Org... We're so happy to have you on board for the ride!